Trump wants a huge increase in VA spending, but some Vet groups are still unhappy. Here’s why. WASHINGTON — President Donald Trump is proposing another big increase in Veterans Affairs spending for fiscal 2020 — but also reintroducing a controversial cost-savings measure that Veterans groups have long opposed. The increased VA spending — up to $216 billion, an increase of $19 billion or 9.5 percent from fiscal 2019 — comes as a host of non-defense programs face steep cuts in the budget proposal. The Departments of Transportation, Education, Energy and State all face double-digit funding cuts under the president’s plan, which is already facing fierce opposition from Democrats in Congress. 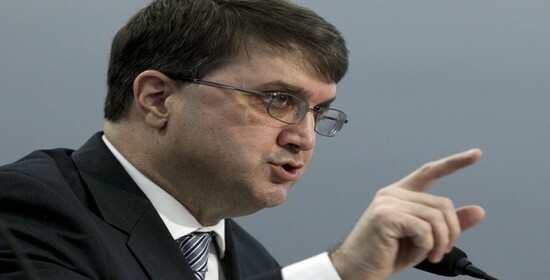 In a statement, VA Secretary Robert Wilkie said the increase in his department’s budget “supports the most significant transformation of VA since its inception, positioning the department as the premier provider for Veterans’ services and benefits.” He also called it a continuation of the administration’s commitment to supporting Veterans. Under Trump and his predecessors, the department has seen steady budget increases since the start of the wars in Iraq and Afghanistan. The fiscal 2020 budget request is nearly double the total VA funding level from 10 years ago and more than four times the total in fiscal 2001, when the entire budget was about $45 billion. But a 9.5 percent jump in total VA funding would be among the largest single-year increases over that span. The total includes about $123 billion in mandatory funding and $93 billion in discretionary programs. Medical costs alone account for more than $80 billion of the discretionary money. Community care funding will increase by about $1 billion from fiscal 2019 levels, accounting for about 19 percent of the total VA medical budget. 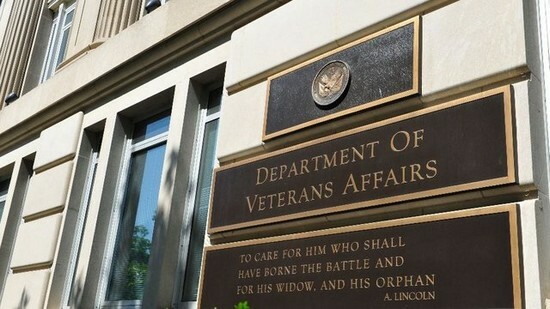 That’s in line with the ratio of spending in recent years for appointments and care outside the VA system, but it is certain to undergo extra scrutiny as department leaders introduce new rules for community care eligibility in June. The overhaul of private-sector medical appointment availability has been a centerpiece of Trump’s promised VA reforms but has also draw criticism as a privatization of VA responsibilities. Some Veterans groups worry too much funding will be shifted to those programs and away from VA health care. 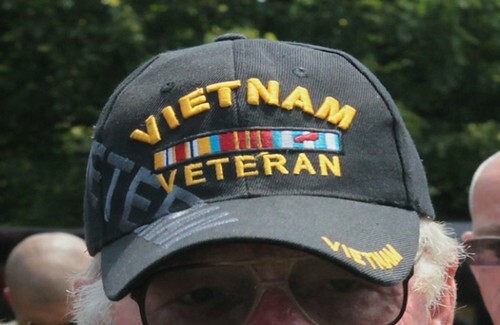 Another budget item certain to draw criticism is the reintroduction of plans to “round down” Veterans’ annual cost-of-living increases to the nearest whole dollar. The move would cost an individual Veteran no more than $12 annually, but it has been decried by Veterans groups in the past as unfairly using their earned benefits to balance the budget. White House officials have countered that rounding down annual benefit hikes was VA policy from the late 1990s until 2013. Returning to the move will save $36 million in fiscal 2020 alone, and more than $2 billion over the next 10 years. Administration planners also want to place education benefit caps on flight training schools, a proposal that many Veterans advocates have backed but has faced strong opposition from education lobbyists. That move would save about $30 million annually. Under the president’s plan, VA would spent more than $1.6 billion in fiscal 2020 on improvements to electronic medical records, part of the department’s 10-year plan to bring those files in line with Defense Department health computer systems. That’s up nearly 45 percent from spending totals this year and has raised concerns from some congressional Republicans in recent months. While most VA accounts would see significant increases, medical research would be cut by about $17 million (2 percent), and construction accounts would be cut by more than $1.3 billion (45 percent). Both moves are likely to raise concerns about the administration’s long-term plans to maintain and advance department medical care. Lawmakers will spend the next several months debating both the details of the VA funding proposal and how it fits with Trump’s broader budget priorities. Congress must adopt a new federal budget by Sept. 30 or face another partial government shutdown. Today the U.S. Department of Veterans Affairs (VA) announced the selection of 18 medical centers that will lead the way in the department’s efforts to transform the nation’s largest integrated health care system into a high reliability organization (HRO). Pioneered in highly complex environments, such as aviation and nuclear energy, HROs put procedures and protocols in place that maximize safety and minimize harm, which in the medical industry assures every patient receives excellent care, every time. 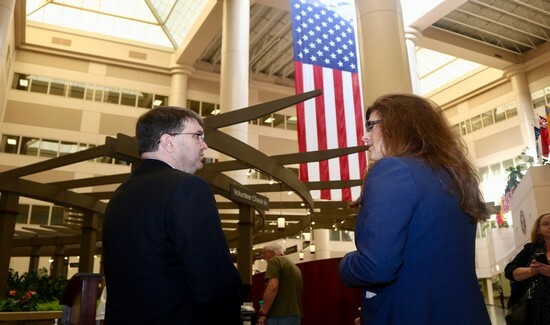 “VA has been a leader in patient safety for years,” said VA Secretary Robert Wilkie. “Adopting high reliability principles more formally represents the next step for delivering the best health care to Veterans. Research shows high reliability organizations experience fewer accidents despite being high-risk environments where small errors can produce catastrophic results. A February Leadership Summit kicked off the HRO journey and introduced high reliability concepts and practices to the 18 sites. Lessons learned from these 18 sites will guide a more impactful rollout across every Veterans Health Administration (VHA) medical facility in 2020. The 18 sites selected are: Manchester VA Medical Center (VAMC) (N.H.); Albany Samuel S. Stratton VAMC (N.Y.); Erie VAMC (Pa.); Beckley VAMC (W.Va.); Durham VAMC (N.C.); Ralph H. Johnson VAMC (Charleston, S.C.); James A. Haley Veterans Hospital (Tampa, Fla.); James H. Quillen VA Healthcare System (HCS) (Johnson City, Tenn.); Louis Stokes Cleveland VAMC (Ohio); William S. Middleton VA Hospital (Madison, Wis.); Kansas City VAMC (Mo. ); G.V. Sonny Montgomery VAMC (Jackson, Miss. ); Audie L. Murphy VA Hospital (San Antonio, Texas); Oklahoma City VA HCS (Okla.); Boise VAMC (Idaho); VA Sierra Nevada HCS (Reno, Nev.); VA San Diego HCS (Calif.); and St. Cloud VA HCS (Minn.). The VHA journey to become an HRO is consistent with national safety goals set forth by the Joint Commission, an independent, nonprofit organization that accredits and certifies approximately 21,000 health care organizations and programs in the U.S. In addition to a safer environment focused on reducing errors and preventing patient harm, HRO principles and values call for deference to expertise; oftentimes, the patient’s family caregiver is that expert. HRO will empower Veterans and their family caregivers, along with employees who work hands-on with Veterans, to make decisions and impact improvements that aim for excellent care for every patient, every time. The Trump administration’s multipronged effort to privatize the VHA and push millions of Veterans out of the VA system remains deeply unpopular among American Veterans. But rather than adjust its proposals to meet the needs and wishes of Veterans, the administration has a better idea: deny that the changes—which include funding private care at taxpayer expense—amount to privatization at all. This shift can involve, at one extreme, the wholesale auctioning off of public-sector activities to private businesses, as well as the gradual outsourcing of public services to private-sector providers, use ofvouchers, and "privatization by attrition," in which a government lets public services run down.In transferring taxpayer money from public agencies to private businesses, privatization starves the public, and enriches the private sector. Tellingly, privatization often involves a propaganda assault depicting government programs as broken beyond repair and government employees as callous or incompetent. When Darrin Selnick was appointed to the Commission on Care, he championed total VHA privatization in what was called the “Strawman Document.” In his written dissent from the Commission’s 2016 final report, Selnick also proposed emulating military insurance programs like TRICARE, which would ultimately turn the VHA into an insurer, rather than a primary provider, of care. 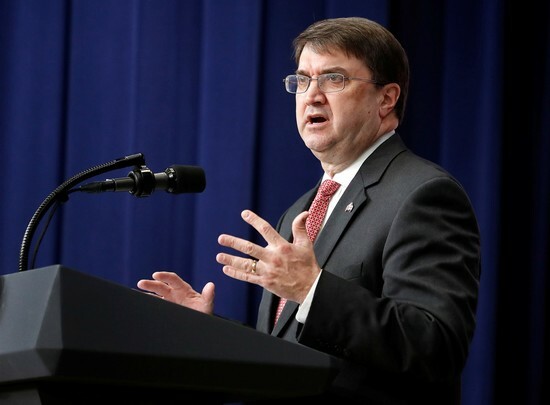 While Secretary Wilkie can protest as much as he likes, the fact remains that the VA’s new proposal for drive time alonewill lead to a fivefold increase of eligibilityforprivate care. Costs for expanding private care starting this June have been estimated at $21.4 billion for the next five years (or as high as $32.1 billion). Without additional funds appropriated by Congress, money to pay for private care will come directly out of the VHA budget—which will force VA layoffs, the termination of needed programs and even the shuttering of facilities. 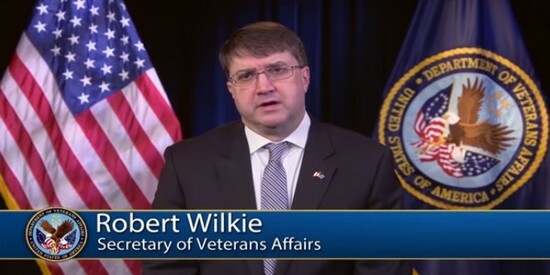 On February 27,Wilkie told the House Committee on Veterans Affairs that he hopes to expedite the VA Asset and Infrastructure Review Commission recommendations regarding which facilities to close, condense or expand. When a VA facility is closed, every one of its patients will be shifted to private sector care. If all this isn’t privatization, what is? Secretary Wilkie announced his decision at a hearing before the House Appropriations Subcommittee on Military Construction, Veterans Affairs, and Related Agencies. “Those who hold the Purple Heart, the recognition of wounds taken in battle, will now receive priority consideration when it comes to claims before the Department of Veterans Affairs,” said Secretary Wilkie. The Veterans Benefits Administration will amend its priority processing categories to include initial claims received from Purple Heart recipients on or after April 1, 2019. Purple Heart recipients are already treated on a priority basis at VA hospitals and are exempt from co-payments for their medical care. 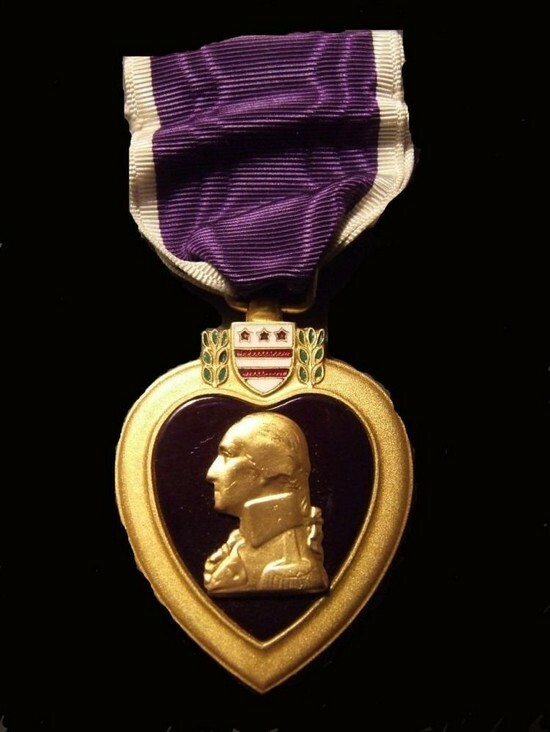 The Purple Heart award is the oldest U.S. military decoration and is awarded to U.S. service members for wounds suffered at the hands of the enemy. General George Washington awarded the first purple-colored heart-shaped badges to soldiers who fought in the Continental Army during the American Revolution. In 1932, it was revived to commemorate Washington’s 200th birthday. Administrative judges appear to be performing better than ever, in spite of huge increases in performance quotas. The Trump Justice Department implemented an annual “production quota” of 700 cases for immigration judges. The Social Security Administration requested its disability judges to increase their output by almost 20 percent over the past few years. And the Board of Veterans’ Appeals (BVA) increased its output by a whopping 62 percent in one year, deciding 52,661 cases in 2017 and 85,288 cases in 2018. The Constitution demands that agencies decide cases accurately. And in spite of the production increase, the BVA reported an “accuracy rate” of 94 percent for 2018. According to this reported rate, only 6 percent of BVA decisions contain legal mistakes. If true, these statistics would mean that agencies deciding hundreds of thousands of cases each year — more than all federal courts combined — can provide high quality justice for immigrants, Veterans and the disabled at unprecedented rates. Has the BVA finally cracked the constitutional code of mass adjudication? Nothing could be further from the truth. Our research teams at Stanford and UCLA unearthed data on nearly 600,000 cases never before studied by outside researchers, as well as hundreds of pages of agency documents. Drawing on this information and in-depth interviews with agency officials, our research shows that the BVA is seriously misrepresenting its performance. Our research is the first to rigorously examine the BVA’s “quality assurance” program, which generates its accuracy statistics. We worked directly with the former chief of the BVA’s Office of Quality Review to test its efficacy. The program randomly sampled 5 percent of decisions for an elite team of attorneys to review. Attorneys looked for errors, namely judicial decisions that were reversed or remanded by the Court of Appeals for Veterans Claims (CAVC), the court that independently reviews the BVA’s decisions. When they found errors, the attorneys would write memoranda to suggest corrections. First, the quality review program was ineffective in improving decisions. A decision that underwent quality review was just as likely to be appealed and reversed by CAVC as any other decision. Even if a quality review attorney pronounced a decision error-free, that decision was about as likely to be appealed as one that was not reviewed. Second, the quality review team graded opinions on a very forgiving curve. The BVA program identified defective rationales in decisions at one-sixth the rate as CAVC did for the same decisions. And when Veterans appealed cases that the program deemed error-free, CAVC still reversed and remanded three-quarters of the time. Why would an agency administer a program to such little effect? The answer is as obvious as it is troubling. The BVA’s rosy accuracy rate of 91-95 percent figures prominently in its public relations efforts. The BVA has emphasized this rate in annual reports and congressional oversight hearings. The program has kept Congress at bay with the appearance of effectiveness. The tragedy is that the program gave the BVA no incentive to improve and Congress no meaningful performance measure to evaluate. If the board misrepresents its performance, other agencies may do so as well. Veterans, immigrants, disabled workers — and all Americans — deserve better. Agencies should be required to review the quality of their decisions and adjudication in the face of systemic problems. Agencies need to disclose enough information so that judges, policymakers and the public can verify that these programs promote what the Constitution demands. FORT WORTH (CBSDFW.COM) – No lines, no waiting, and plenty of parking. That’s almost the opposite of what U.S. Veterans often run into at VA health facilities in North Texas. But in November, the VA opened up a new, 24,000-square-foot clinic in Grand Prairie, now it just needs Veterans to take advantage of it. It’s equipped to handle 6,000 new patients. But right now, it’s only about 30 percent full. In fact it’s empty enough Veterans could likely get in to see a doctor right away. Filling the Grand Prairie VA Clinic is important to a VA system that is 1 million square feet short on space right now. New federal rules that could go into effect this summer, requiring facilities be no more than a 30 minute drive for Veterans, and no more than a 20 day wait. In addition to trying to encourage Veterans to transfer to new locations, the VA is also looking to add more facilities. One of its targets is a significant hospital property in North Texas, that could potentially re-open as a VA hospital in 2019. “This executive order means a lot to me personally because my grandfather was a mariner. “This represents a true win-win for our nation’s Veterans and for national security. “By fast-tracking the transition into the Merchant Marine of trained and credentialed service members, President Trump is meeting an important national security need while providing meaningful, well-paying jobs to our nation’s heroes. The Department of Veterans Affairs on Friday released details on a new policy that will allow Purple Heart recipients to move to the front of the line regarding claims. Starting April 1, Veterans who have earned the Purple Heart and are submitting initial disability compensation claims will be added to the existing list of categories that receive priority processing within the Veterans Benefits Administration, according to the VA. The distinction does not apply to claims appeals. Several groups of Veterans receive priority processing for initial claims. They include: Medal of Honor recipients; homeless or indigent Veterans; the terminally ill; those older than 85; former prisoners of war or survivors of a POW; the very seriously injured who aren't already receiving VA disability benefits; and those with amyotrophic lateral sclerosis, or ALS. The Department of Veterans Affairs needs to do a better job of screening the credentials and licenses of doctors and nurses to "prevent disqualified providers from delivering patient care," according to the Government Accounting Office. In a report Thursday, the GAO said that its review found instances in which the VA's Veterans Health Administration hired or retained ineligible providers, including physicians, nurses and dentists, "because hiring staff overlooked or missed disqualifying information in a national database." In other cases, VHA officials "didn't know that providers with valid licenses were ineligible if they had surrendered a license or had one revoked in another state," the GAO report states. In sum, the GAO said the VA and VHA should make better use of the wealth of information on providers in the National Practitioner Data Bank. In some cases, "providers had administrative or other non-disqualifying adverse actions reported in the NPDB," but VHA still determined that they could be hired, the report states. It cited the case of a doctor who had surrendered his physical-therapy license for failure to complete physical therapy continuing education. "Although his license surrender resulted in an adverse action in [the data bank], VHA determined that there were no concerns about the provider's ability to perform as a physician," the report states. In other cases, "VHA facilities overlooked or were unaware of the disqualifying adverse-action information in NPDB," it adds. "For example, VHA officials told GAO that, in one case, they inadvertently overlooked a disqualifying adverse action and hired a nurse whose license had been revoked for patient neglect. This nurse resigned in May 2017," according to the report. However, it notes that "the presence of an NPDB report does not automatically disqualify a provider from working at VHA. Each VHA facility has broad discretion in hiring providers." The report states that VHA policy allows providers with adverse actions in NPDB to continue working "if the provider has at least one full, active, current, and unrestricted license, and does not have a license that is revoked or surrendered for cause." The report cites the case of a practical nurse who began work at VHA in 2003 and continues to work there. In June 2015, one state revoked the nurse's license for failure to complete a required course, but VHA facility officials determined that the nurse had a valid license in another state and kept the employee on staff. The VA concurred with the GAO's recommendations that VHA officials responsible for credentialing and hiring should receive periodic mandatory training, and also should conduct periodic reviews of providers who have had adverse actions reported in NPDB records. 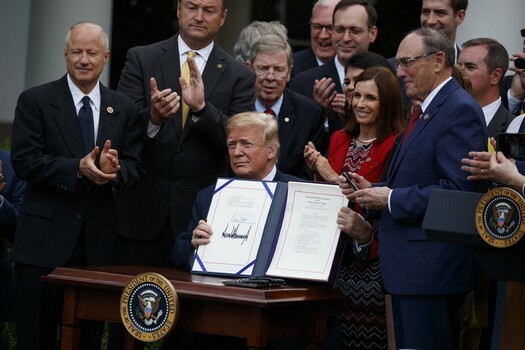 The VA Mission Act passed into law with broad bipartisan support last year, but that unity began to wane immediately, when President Trump signaled after signing it that he wouldn't give it an additional stream of funding. The law expands a popular caregiver program and will examine VA's aging infrastructure. But the most controversial plank is a drastic increase in the number of Veterans who will be eligible to use a private health care provider and bill the VA, in what's known as the Veterans Choice Program. The VA has been defensive about the program ever since; last month, VA Secretary Robert Wilkie pre-empted the release of new regulations for private care with a statement. "Although these new standards represent an important win for America's Veterans, they will not be without controversy. Some will claim falsely and predictably that they represent a first step toward privatizing the department," Wilkie said. As predicted, the union representing VA workers did just that. "The Adminstration is setting us up to fail," said American Federation of Government Employees National Veterans Affairs Council President Alma Lee. "We believe that this push for further privatization cannot be allowed to happen, and the MISSION Act should not be implemented under the current schedule because the VA needs to do a thorough analysis of the huge impact it will have on Veterans their receiving care here." VA has been sending patients to outside specialists for years — but mostly that was VA doctors doing it for clinical reasons. VCP, which started in 2014, gave Vets the option of choosing a private doctor if VA care was too slow or too far away. It has had mixed results, says Iraq Vet Kayla Williams, who has been waiting for an appointment with a specialist. "I was notified recently that they have not been able to find any providers in the D.C. metro region who are willing to accept the Medicare rates that Choice uses," she said. VCP has gotten a reputation for paying providers late and confusing everyone with red tape. Williams' experience has been frustrating, even though she knows the ropes: She's not only a Vet, but she's also a former official at VA and currently directs a program on Veterans at the Center for a New American Security. Williams says that when the new expanded version of VCP goes into effect this June, there might not be so much choice to choose from, because health care is in heavy demand nationwide. "A lot of folks seem to believe that the capacity exists in the community, that providers are equally good. But that's not the data that I've seen," she says. Studies show that VA care is on par or better than private care for speed and quality, in most regions. So even as it's about to expand private care, VA officials like Dr. Richard Stone, acting head of VA health, have been stressing that Vets who try outside care usually return. "They have had a choice for years about where to go for health care. Ninety percent chose to stay with us. Of the 10 percent that go out to commercial health care providers, the vast majority go once and then come back to us," he said in a VA webcast last month. But expanding the Veterans Choice Program could prove that wrong, says Dan Caldwell, an Iraq Vet with the conservative advocacy group Concerned Veterans for America. "When you give Veterans the ability to vote with their feet, you're going to see really how VA is performing and how Veterans perceive the VA," said Caldwell. Caldwell's group, which is backed by billionaire conservative Charles Koch, advocates for all Vets to have a choice between private care and the VA. He calls the new rules a good step in that direction. "We want to get to a place where Veterans have the ability to access a private provider without prior authorization from the VA," said Caldwell. But critics say that would amount to privatizing much of the VA and, because private care is more expensive, would also bleed resources away from the department. What it will cost is still an open question. House Veterans Affairs Committee Chairman Mark Takano, D-Calif., says the Trump administration hasn't been telling Congress how it intends to pay for it. "We don't know the cost, we don't know how they're going to pay for all those [patients]," said Takano, who says the VA has given "highly specious arguments about why they couldn't be more transparent with Congress." Takano signed on to a letter from Democratic and Republican committee chairs this month asking VA to collaborate more with Congress. Two days later, the VA put out a press release proclaiming "a new and unprecedented level of transparency to lawmakers in Congress." But the lawmakers are still waiting for the information they requested. For all the alarm about the new rules, they are something of a compromise, said Amy Fahrenkopf, former VA official in charge of the Veterans Choice Program. "My first impression is that this is not the giant step toward privatization that many were worried about or many were pushing for," she said. Fahrenkopf is a Republican who left the VA last year among an exodus of high-ranking officials during a period of leadership turmoil. She says she thinks the new rules could introduce an element of competition with VA, which could be good for the department. But Fahrenkopf also points out that by eliminating any need for co-pays, the new program could entice millions of Veterans who currently get private health care from their employer to switch to VA. It could cost the department billions, at the same time as private providers are required to accept Medicare rates for their services. "It's almost a Medicare-for-all type program," Fahrenkopf said, adding that she can't imagine why any fiscal conservative Republican would support it.